Helping you to face the challenges of birth and a successful transition to parenthood with confidence. You have an idea of what you want for your birth experience, but are unsure how to accomplish achieving those goals. Your last birthing experience wasn't what you were hoping for. You want to be the best support person to your partner, but aren't sure you will remember what to do. You see the value in having someone support you both who has been there and done that. You want real, honest answers, backed by evidence based research to help guide your decision making. That yes, a healthy baby is important, but you would like to look back and have it be a good experience for you too. Serving the Greater Puget Sound area, north and east King county and south Snohomish county. Birth Matters NW serves the greater Puget Sound Area from Seattle/West Seattle To Marysville to Bellevue. Mariah helped me stay calm and collected, helped me breathe through the contractions, and showed me things to help manage the pain that I never would have known or even thought to try. I can't imagine having gone through labor with any other doula. Mariah was by my side the entire way and I swear, she made it feel easier than I ever imagined possible. Mariah was able to quiet my anxiety effortlessly... and after our daughter was born, she was still my biggest cheerleader. She encouraged me to advocate for my desires and helped me feel calm and confident in my decision-making as a new mom. Mariah was worth her weight in gold to my husband and I! She was enormously supportive during my pregnancy and during my birth. Mariah was calm, respectful, warm and re-assuring the entire time. She knew exactly when to step in and what to offer and worked seemlessly with the Midwives and staff at Swedish. During my C-Section she even told me fairy tales to help me stay calm--and it worked! We would recommend her in a heart-beat to anyone! The birth of my beautiful baby boy was a very intense and crazy 13 hour ride, and I don't want to think about what it would have been like without Mariah there. She labored with me at home, and (helped me gain a) feeling like I could control some sensation on my body. Mariah, Ildi, and the midwife helped me process what happened in the days after the birth. 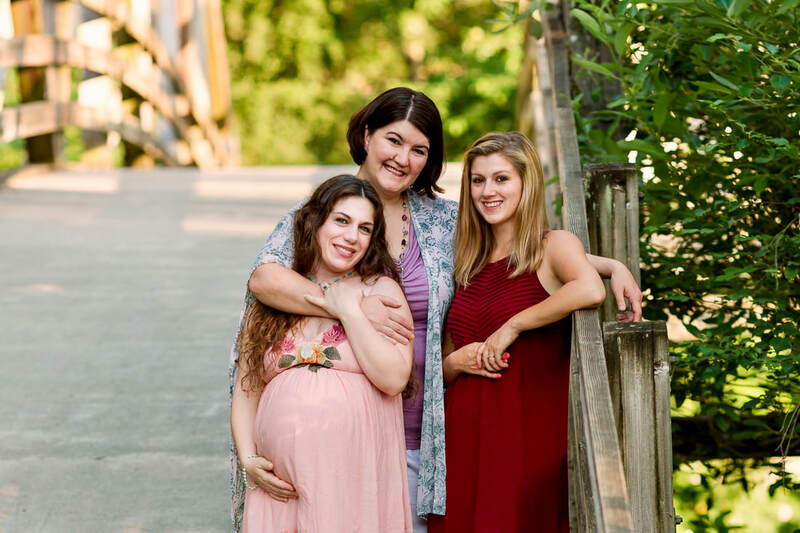 I am so grateful to have had these ladies by my side leading up to birth, during labor, and throughout early postpartum. I would hire them again in a heartbeat!